Instead of apologizing for my busy life, I am just going to jump into my card for today! LOL We all know how busy life gets and honestly I can promise the next 4 days of posts for you! 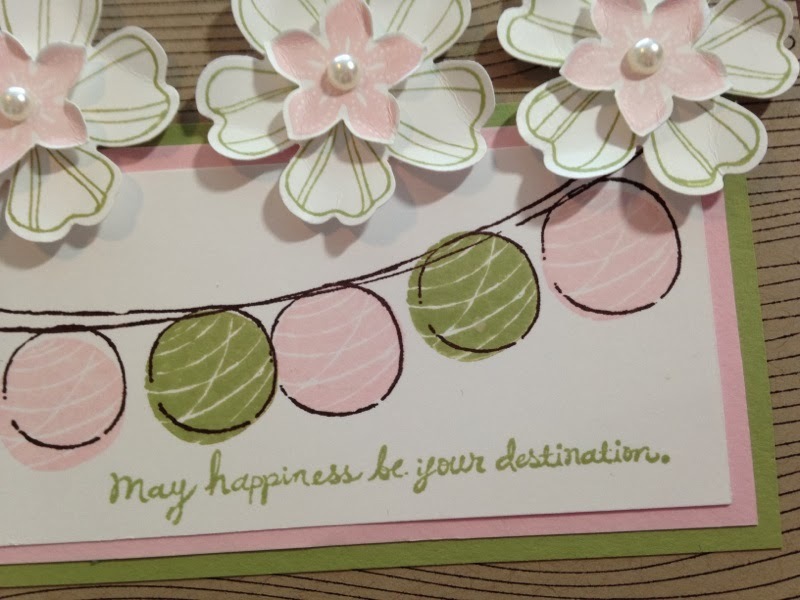 I made this card for two of my friends (both stampers)... I originally made it for a color challenge and then realized, I didn't use the right colors! LOL Anyway, I knew the ladies would love the card, so I finished it up and mailed them out (I hope they both have them by this point). 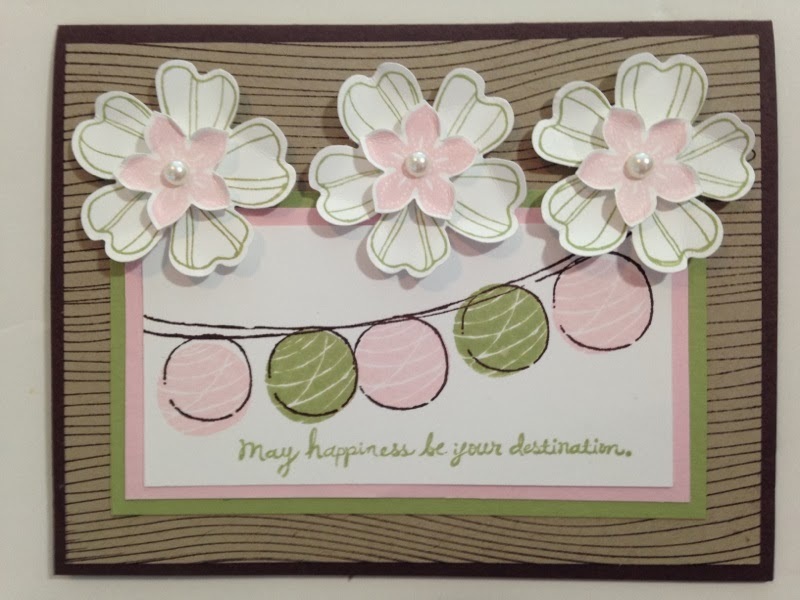 This card uses several stamp sets, but one that is probably new to you is the Happy Congratulations set. This set has those adorable balloon looking things... I know they are party lights of some sort, but not sure of the exact name (and no time to research this). The sentiment works perfect for a birthday as well! The flowers are from Petite Petals and Flower Shop bundles. You will be seeing some other projects using these stamp sets this week! I love them paired together... you must get them both with the matching punches! Are you wondering about the background? It's a stamp in the Annual Catalog (page 75) called Woodgrain. I recently earned this stamp free and I love it paired with flowers and outdoor things! Thanks for following my blog and make sure you check back throughout the week as I have some awesome projects to feature for you over the next few days! Ps: If you haven't shopped during Sale-a-Bration, now is the time! Go order up your $50 to get your free item! Heck, splurge and order $100 and earn two free choices! Let me know if I can help you! Love this card! Going to have to get that stamp now, lol! I'm a little behind checking my emails (it's that busy life thing...lol), but just had to say how beautiful this is and I can see me CASEing this as well. I love the colors and can see other combinations being beautiful as well!